Recently we've had a chance to see a schematic of what the new version of the Motorola's RAZR phone might look like. Today we've received a concept video created by Waqar Khan. Mister Waqar presented us with his own version of this foldable phone. Waqar has imagined the new Motorola as a dual display device. Internal display is foldable and it can be easily folded in half. By folding this flat screen, a smaller, secondary display show up. This smaller screen serves to show notifications and read messages. Exactly below the smaller, outer display there is the rear facing camera. When it comes to the front facing camera, it wasn't showcased in the video, but we believe that it would find its place somewhere in the notch. 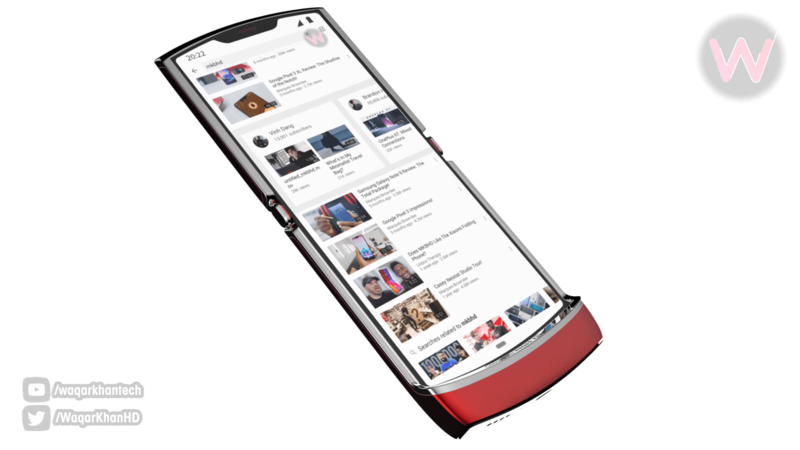 All in all, this design of the RAZR 2019 resembled the original RAZR V3, with a difference being that the new phone now has almost everything a smartphone should have. We're now left to see what the real Moto RAZR 2019 will look like and how similar to renders it would be, especially when we know that foldable technology is only at the very beginning of its development.